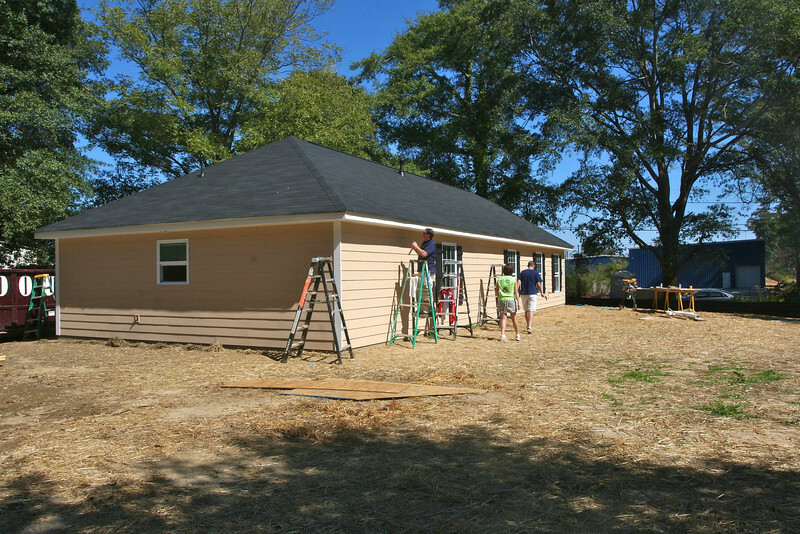 Work is coming along at our two latest Habitat Houses. Here are some pictures from October 9. As you can see, the house is up, and in inside is coming together. Back view of the house and great yard.